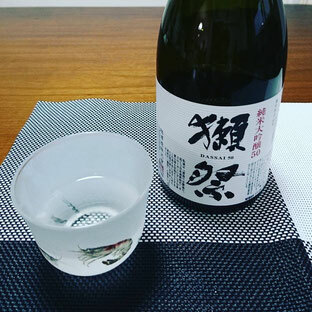 Japanese Sake '' dassai 獺祭''. It's one of the sake to get quite difficulty, actually it sold out soon. The blewer is at Asahishuzo 旭酒造 in Yamaguchi Japan. The taste is a little right and smells very fruity. I'm not good at Sake but it's delicious and easy to drink!! ☆☆☆☆☆☆☆☆☆ Cook and Eat Japanese foods, sweets and decomochi ! !